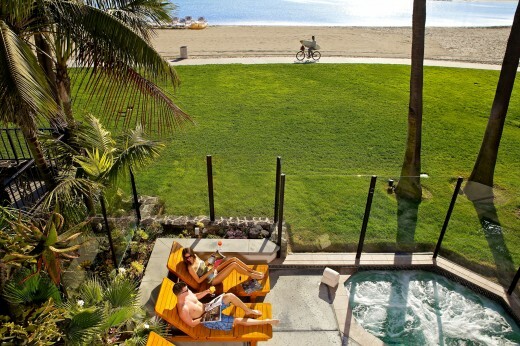 If you need an excuse for a little rest and relaxation, you’re in luck: San Diego Spa Week returns April 15-21, 2013. San Diego is a treasure trove of incredible spas, with spas to suit all visitors. Whether you’re looking for a weeklong wellness getaway to restore your inner balance or you just feel like being pampered, you’re sure to find a spa to fit your style in San Diego. In need of both an inner balancing and a bit of indulgence, I recently found the perfect blend reflective peace with a touch of luxury at the Catamaran Spa. If you’re staying at the Catamaran Resort, or just want to check into the spa for the day, spend some time decompressing in the Catamaran Resort’s beachside fitness center before your spa treatment. 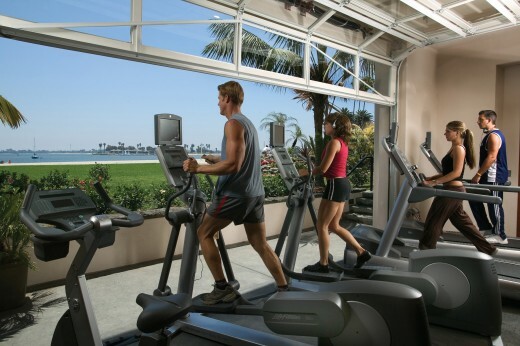 With elliptical machines set on an open air patio facing out towards the white sands and sparkling waters of Mission Bay, the fitness center has all perks of jogging on the beach without the risk of getting sand in your shoes. Who needs a tv on mute when you have beautiful views of the water? The spa’s signature Tropical Catamaran Ritual is a two-hour mini-vacation in its own right. Your therapist guides you from the tranquil, Polynesian-inspired relaxation room to a spacious suite complete with a massage table, jetted tub and 13-head shower. The journey begins with a brisk head-to-toe coconut sugar scrub that smells good enough to eat. After a thorough scrubbing, the suite’s indulgent shower washes away the impurities with an invigorating massage from the stream of 13 shower heads. Once good and clean, it’s time to be wrapped. After being gently brushed with a delightfully tingly antioxidant mask, you’re tucked up burrito-style in a warm, comforting wrap. But you’re not done yet – after your wrap, it’s time to slip into the jetted tub for a soak in coconut milk, followed by a soothing massage. Sooth your weary body in the outdoor whirlpool. Still not relaxed? Slip on your bathing suit and head outside to the beachside whirlpool. As you watch the suns bounce off of the gentle waves of Mission Bay, you can’t help but enjoy the moment. The Tropical Catamaran Ritual is just one of many varieties of treatments available at the Catamaran Spa. During San Diego Spa Week the Catamaran Spa will be offering the a 50 Min Coconut Pineapple Body Balm Wrap, choice of 50 Min Catamaran Island Facial or 50 Min Coconut Scrub, or a 50 Min Tropical Pedicure for only $50 each! 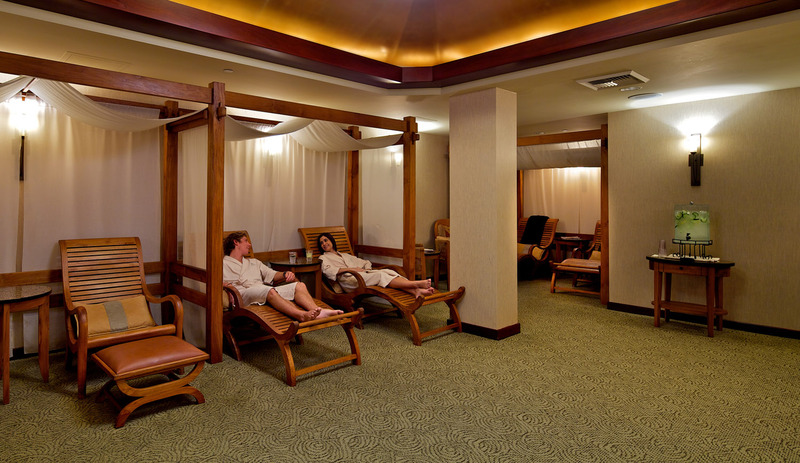 Where will you relax during San Diego Spa Week? Tell us below! This entry was posted in Attractions, Hotels & Places to Stay and tagged catamaran, massage, mission bay and beaches, spa, spas by Candice. Bookmark the permalink. I’m looking for some best spas in San Diego.Here I get some detail idea, thanks for sharing this.